On my visit here to New Zealand, it’s been pretty clear this is a lovely place. Forget the mountains, snow, and scenery, which many terribly run states have (such as Pakistan, Afghanistan, and Ethiopia). Rather, it’s how easy it is to manage this state. If you die and come back as a Leader, choose a place like New Zealand if you relish a quiet life. Here’s why. Too much isolation – like in the case of Siberia – can cripple any would-be state. But a place like New Zealand is ideally situated at just the right time of history. Modern technology makes shipping anything the country needs possible. While in pre-modern days, such isolation made New Zealand incredibly difficult to reach and colonize (and is the reason why it was the last major landmass to be reached by humans somewhere around 1300-1500), modern times makes New Zealand one of the most ideal geographic locations out there. Sure, the flights are murder, but good luck with an invasion. There’s no great power nearby that covets its territory simply because wide open spaces are the rule rather than the exception. New Zealand wisely aligned with the United States, the current ruling power in the Pacific, and fears no invasion. Even during Japan’s rampage that briefly looked like it might overturn the Pacific order in World War II, New Zealand was so far away that the Imperial Navy understood they could not hope to reach it. New Zealand’s climate is ideal for a long growing season, which makes feeding a population far easier and far healthier (New Zealanders are obsessed with organic food largely because their environment allows them that luxury). While a tropical environment can produce higher food levels, it can also be plagued by horrific diseases that wipe out colonies early on. Why else would rich Congo have been saved for last in the Scramble for Africa? With winter never too cold, and summer never too warm, you could also cut down on your energy costs of managing the thermostat in homes and offices, saving economic power for other projects. And plenty of rain helps too – no need to build big, expensive pumps or water purification plants if your environment will sort it all for you! One of the key reasons for the success of the United States, Canada, Australia, and New Zealand is their long history of immigration. Immigrants are, by their nature, a different sort of folk. They are less likely to be criminal (for fear of deportation); more likely to work longer for less wages; and, if a government is clever, can be better educated than natives. They are the difference between a conscript army and a volunteer one, with all the accompanying pluses. Quick! 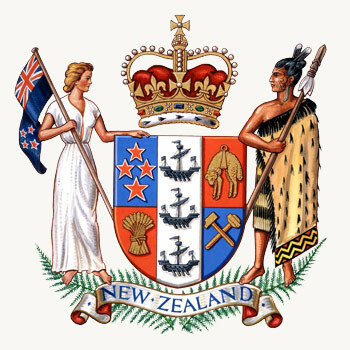 Can you spot the parts of New Zealand’s crest that have British elements? Hint: One of them is a white woman. New Zealand brought on British human capital early on to run the country, using proven British methods of government, self-rule, and parliamentary procedure to create a country that’s more stable than even the United States (which has had a civil war). Immigrants from other societies – Asia, Europe, and the Americas – could be assimilated at the rate set by the ruling elites. To this day, New Zealand still hires out for work locals can’t or won’t do. Finding a brain surgeon can mean combing India’s best universities for one – to New Zealand’s benefit and India’s detriment. Key to all this is a lesson the Persian Gulf states have yet to learn – making these immigrants members of the community with a stake in the country’s future. No smash and grab jobs here; once you’ve stolen the surgeon from Mumbai, you better give him/her a damned good reason to keep their earnings in-country. New Zealand was a far-flung outpost of the British Empire until its dominion status was granted in 1907. From 1907 until 1941, when the Japanese undid British power in the Pacific, New Zealand was protected by the Royal Navy. During World War II, New Zealand wisely joined the Allies, and following the end of the war became a key member of the American Pacific alliance system that remains to this day. Should America ever waver or weaken, it’s likely New Zealand will back the next great power to take its place. Having too profound an attachment to a place or state is dangerous. If you’re lucky enough to have gotten the first three rules, make sure you don’t squander it by fighting wars you can’t win. 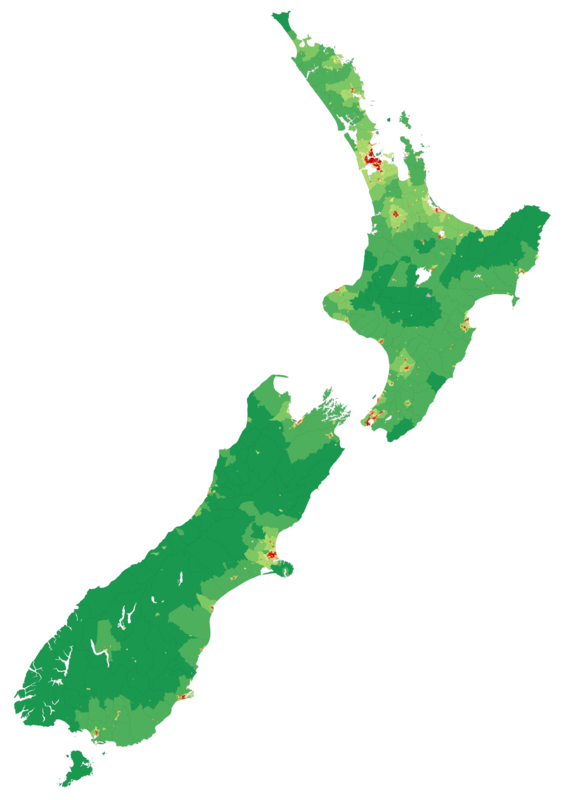 One of the reasons New Zealand is an easy place to rule is because it’s population is both low and relatively spread out. 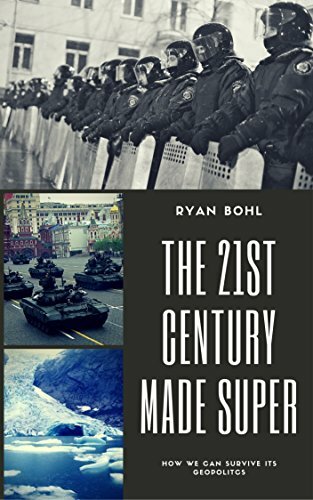 The more crime-ridden and unrest-prone centers have always been urban centers. Moreover, land is cheaper, giving people the opportunity to escape from cities when they’ve had quite enough. Giving people choices makes them moan about you a lot less. Not too much red, indicating dense places filled with crime, dissidents, and poor people. Egypt is a prime example of a place with too little land and too many people. It’s mega-city of Cairo is the epicenter of all the problems in the country these days; those sheer numbers might seem nice on paper, giving you the ability to marshal grand armies, but what you really end up doing is spending more on police and worrying about your backside. Lower population densities means everything is cheaper and easier. More dull, perhaps, but excitement is not the ideal you’re striving for. With geographic isolation to deter invaders (but not so much to be left out of global trade), some nice weather, the best of foreign human capital, the smarts to pick the winners in worldwide conflicts, and the right population densities, you too can enjoy the reputation of a place like New Zealand with all of the ease of ruling it. That’s not to say you can’t make mistakes; open those floodgates too wide for immigrants and you’ll break rule #5. Pick a nation you just like rather than you can use as an ally and you’ll end up occupied come inevitable defeat. There’s plenty of things to screw up still. But countries like New Zealand have fewer hard choices to make. Next Next post: Delayed again!